Horse racing at Les Bois Park. Treasure Valley Racing will end their lease with Ada County at the end of December. 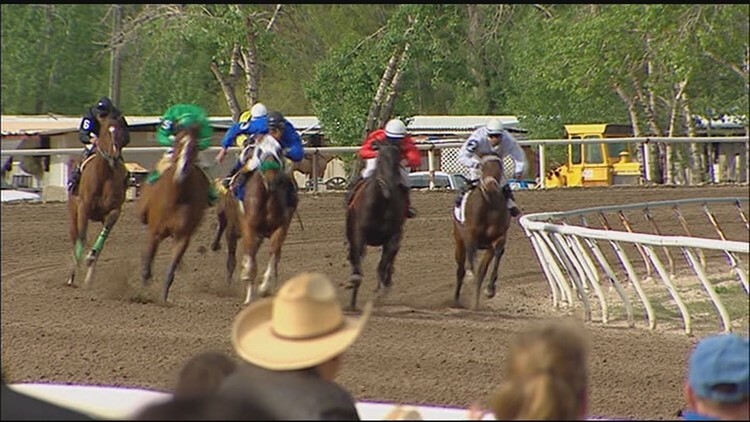 BOISE — In what appears to be the final dagger in the heart of horse racing in Idaho, the owners of racing at Les Bois Park for the last three years are pulling out. Treasure Valley Racing Company is leaving. According to the Board of Ada County Commissioners, the company will end their lease at the end of this month. Treasure Valley Racing has leased the 63-acre park from Ada County since 2016. Their lease was not set to expire until the end of 2020. One of the most powerful horsemen groups in the state was heavily involved in a multi-million dollar campaign to save racing through instant racing terminals when the initiative went down in last month's vote. Those close to the sport say horse racing in the state went down with it. We're working to find out what this announcement means for the Les Bois Track and Turf Club.